This week we’re highlighting a new steampunk anthology. The Omnibus of Doctor Bill Shakes and the Magnificent Ionic Pentatetrameter is a multi-author anthology that re-imagines Shakespeare in a steampunk setting. Can I have this now, please? The editors are Jaymee Goh of the postcolonial blog Silver Goggles and Matt Delman of Doctor Fantastique. Along with writer Lia Keyes, they are also the founders of #steampunkchat, a weekly Twitter chat that ranges across many aspects of steampunk culture, literature, and music, from author chats to explaining steampunk to brainstorming a steampunk circus. It’s an excellent chat, and new people are always welcome. 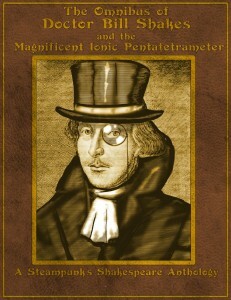 If steampunk Shakespeare sounds like your thing, you can preorder the print version of the anthology through Doctor Fantastique (release on May 11), and an ebook version will be available soon — check steampunkshakespeare.com for the latest updates. Do you have any anthology recommendations, steampunk or otherwise? Please share! To continue the contra dance theme of the week, here’s a video of my group from last summer’s dance on the Toronto Islands. I’m the one in the blue skirt at far right at 0:43. Enjoy! Mieville's next book is out May 15, 2012. In this Author Spotlight series, I’m talking about other writers you might not be familiar with, or you may have heard of but not read. The aim is to give you enough information to decide whether you might enjoy their work. Have a good one, and I’ll see you back here on Monday! When You’re Overwhelmed, What Do You Do? You guys did such an awesome job in the comments on my last post, I thought I’d throw a different sort of question out there and see what wisdom you all have to send my way. Here’s the issue. I’m kind of drowning in Real Life right now. No doubt a lot of you can relate! I’m heading towards a couple of major life events (of which buying my first house is only one) that require a lot of planning and work and decision-making. That last is not my strong suit, shall we say, and as a result I tend to get hung up on decisions — or paralyzed by the sheer amount that needs doing — and unable to move forward. At the same time, I’m also trying not to drop my end of Turtleduck Press. And working full-time. And trying to stay connected to the important people in my life. And trying to occasionally work on some fiction — though to be honest, there’s not much of that happening. I figure it takes too much brain power right now, and I’m lucky enough (?) not to be under contract deadlines, so I can get back to it when Real Life settles down. 1. Guarding my playtime. I spent most of last weekend at a dance festival, dancing. Was it productive? No. Was it tiring and time-consuming? Yes. Was it rejuvenating? Heck yes. 2. Finding support. Whether it’s somebody to come along on errands, bounce decisions off, or lend emotional support and no opinions, I know my friends and loved ones have got my back. You know who you are — thanks! 3. Prioritizing. Twitter and other social media are fun, and for an aspiring author they’re also important, but they don’t even come close to being top priority. Even within those life events I mentioned, some parts warrant much thought and investigation of options and analysis of pros and cons, and some parts just don’t. Over to you now. When you’re feeling overwhelmed by life, what do you do? What are your best tips for digging out from under? 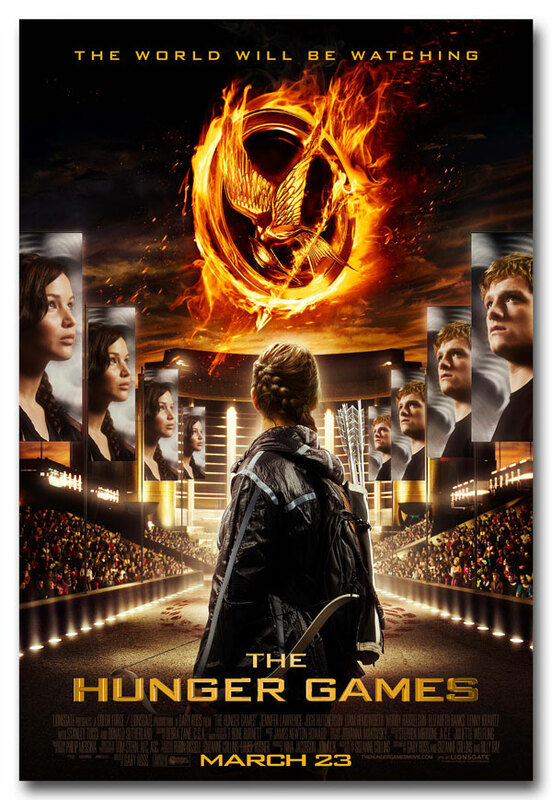 Let me start by saying that the movie version of The Hunger Games is a very good adaptation of Suzanne Collins’s book. If you’re a fan of the book, chances are you’ll like the movie. If you discovered the movie first, the book will give you added depth without making you wonder how the story managed to change so much between the two media. Most of the major plot points from the book are still there in the movie; most of the character portrayals matched what I imagined from the book, as does the visual style.